Our mission is to improve the internet and the world by empowering people to exercise their right to privacy. Free yourself from unwanted tracking and control sharing of your personal information. Enjoy a safer, faster, better internet! Proud to help protect over 50 million people. 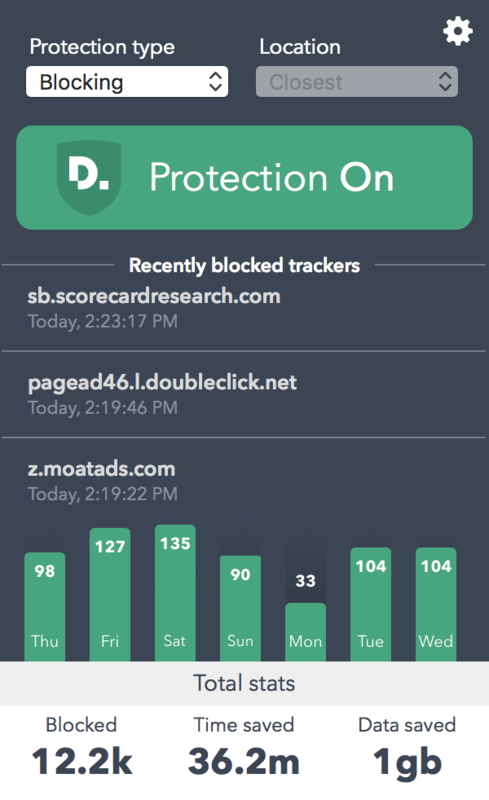 Tracking protection for your desktop or mobile browser. 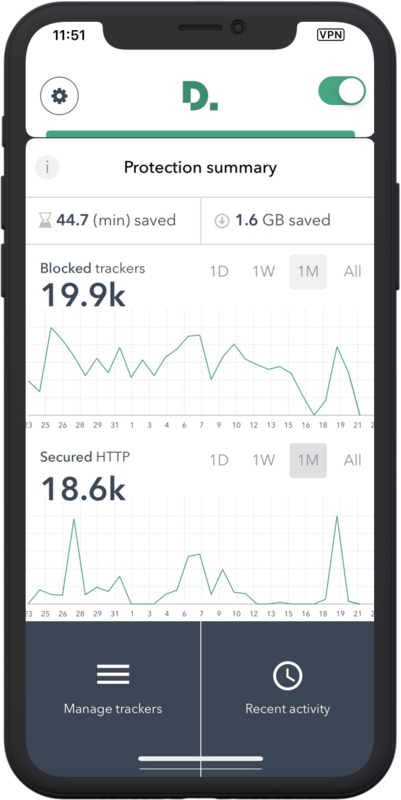 Tracker protection for your entire device, browser and apps. iOS includes SmartVPN features to encrypt all HTTP and DNS connections. 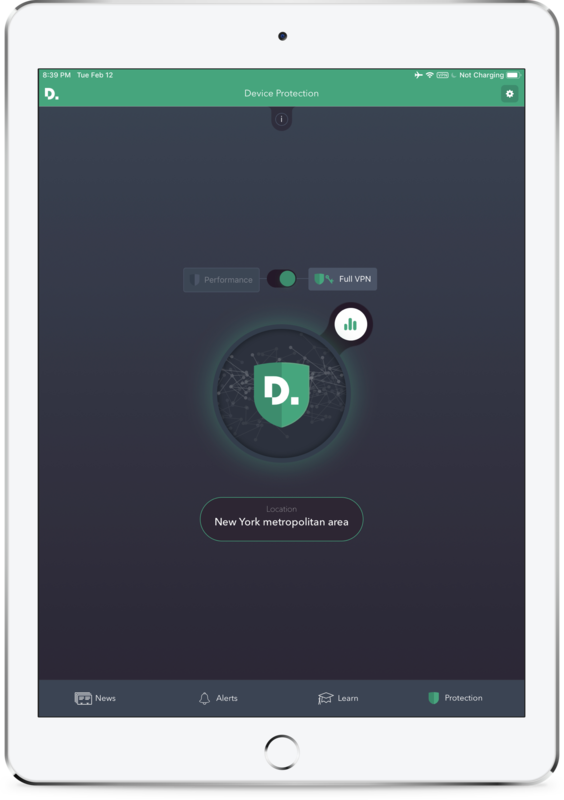 Full VPN and tracker protection for all your mobile and desktop devices. Encrypt all traffic, mask your IP and server location. Stay informed with news and alerts. Today there are thousands of companies that track your activity and personal information. But there’s a huge disconnect between how our data is actually collected, sold, or shared, and what we may actually want. 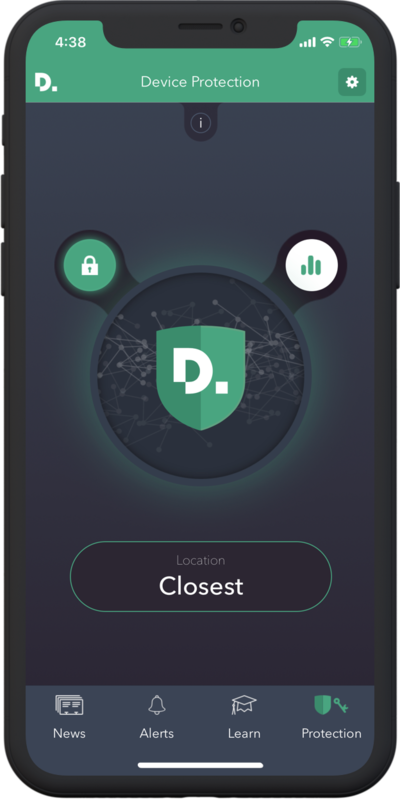 Disconnect is founded on the belief that privacy is a fundamental human right: that people should have the freedom to move about the internet - and their lives - without anyone looking over their shoulder. Thousands of companies, cybercriminals, and government entities are keeping track of your activity online and offline in ways you wouldn’t expect or want. Your data is used to created a profile of who you are, what you do, and where you are. This profile not only determines the ads you see, but the prices you pay and even decisions that are made about things as important as your health insurance. Our tracker protection powers meaningful privacy for tens of millions of people. Our encrypted Virtual Private Network technology prevents eavesdroppers from collecting your sensitive online activity and personal information, like passwords, financial, and health information. We secure your internet connections and mask your IP address to further protect your privacy and security. 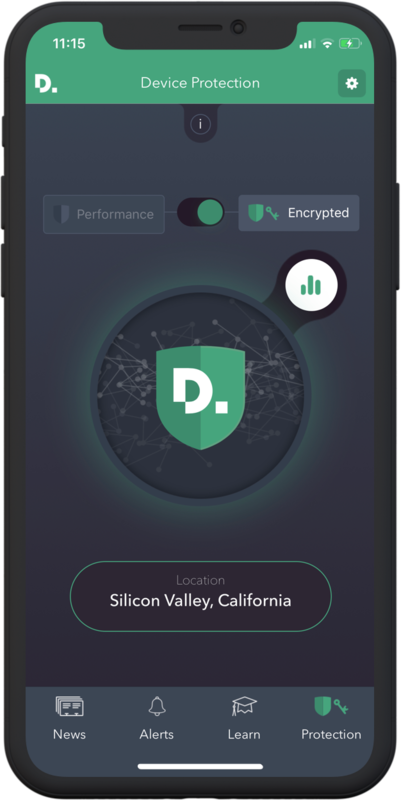 Disconnect’s VPN never logs, tracks, or collects any of your online activity or personal information. By blocking hundreds of invisible tracker requests every day inside your browser and apps, Disconnect significantly accelerates page and app loads. A November 2017 study we co-published with the Firefox team showed that our tracker protection more than doubled browsing speeds! 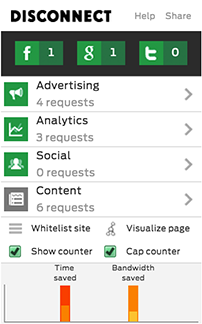 Our apps also extend mobile battery life and reduce wasted bandwidth. Cancel anytime, no questions asked refund. One subscription covers 3 devices. Payment and information processed by Stripe. Secure payment, this website secured with SSL encryption.